I’ve been a big fan of Benefit for some time now, and have used a number of their powder blushes, highlighters and eye products, all of which I have loved. Their Dandelion blush is my ‘go to‘ colour for every day use, but now that the sun is starting to make an appearance I wanted to try a cream formula for a dewy finish. 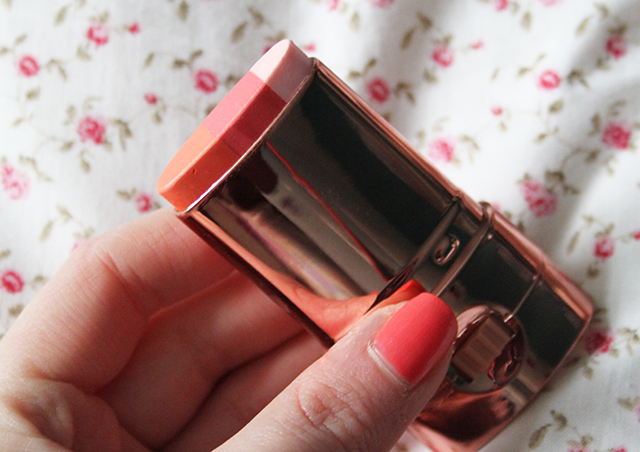 I’ve had a love/hate relationship with cream blushes in the past, always struggling to apply them properly. I often found that they were either to thick or dry to blend, or I could blend them perfectly but then they would make my cheeks look blotchy and uneven. 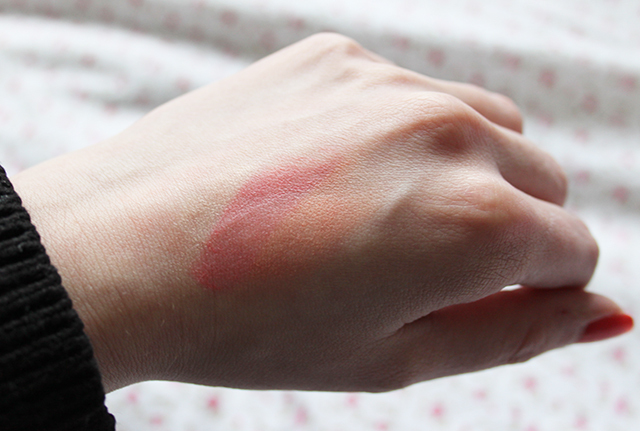 Needless to say when I saw Benefit’s new cream blush, Fine One One, I was a little wary to try it, but when I swatched the tester in my local Boots I was pleasantly surprised with the smooth application. You can probably tell where this is going, but incase you hadn’t guessed it, I bought one for myself without much hesitation, and haven’t used any other blush since! 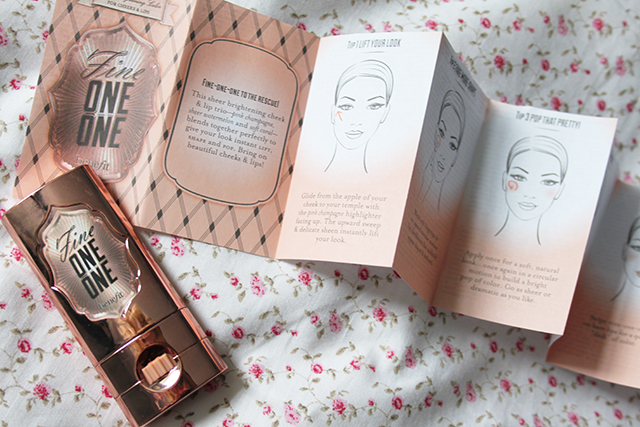 Like all Benefit products, they have really gone to town on the packaging with the rose gold effect casing and the unusual metallic finished box. I was expecting the applicator itself to be metal after seeing numerous pictures on blogs, but in actual fact it is plastic. This doesn’t take away from how great the product is, but it would have added to the high-end feel. The blush itself is a lovely mix of three shades, Pink Champagne, Sheer Watermelon and Soft Coral, designed to give your cheeks a pop of colour, but also highlight the cheekbones too. Now I must admit, I was a little worried I would completely mess up the application, but it honestly couldn’t be easier. Just simply wipe the product front the apple of the cheek in a diagonal motion, making sure the palest colour (the highlighter) is facing upwards. At first it looks a little scary as it goes on in three lines, but after a quick blend with your fingers in swift, circular movements, you’re left with a soft pinch of colour to the cheeks that looks dewy and natural. 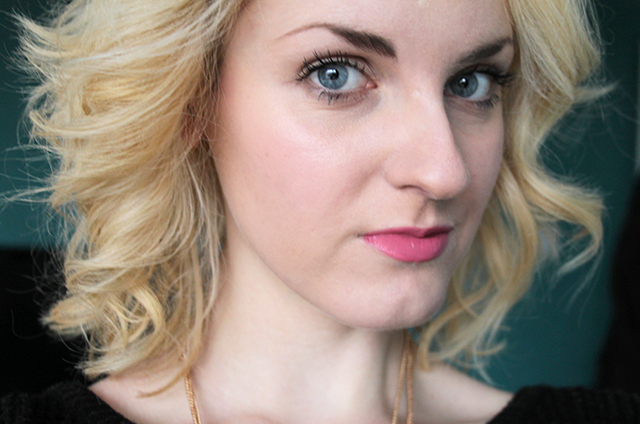 You can then apply a second coat for a deeper colour, or set with a powder blush for a stronger effect, but i like to simply leave it at one coat as I feel it suits my pale skin perfectly. It’s one of those products where a little goes a long way, so I can see this lasting me quite a while. As I said, I haven’t used any other blush since I bought this nearly two weeks ago, so I think it’s safe to say I love it! 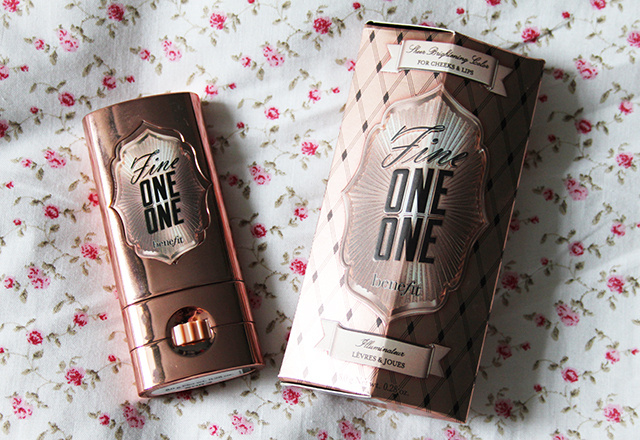 Have you tried Benefit’s Fine One One? Do you recommend any other Cream Blushes? That's so pretty. I really love the color! Wow, cute little gadget and love the colours.